Ferdinand's principle was that even if he were to accept things from others, he would not give any promises. Hearing Hu Diaonan's probing, Ferdinand replied indifferently, "You'll find out when you meet the Imperial Preceptor." Hu Diaonan sighed, and hidden fury flashed in the eyes of the several warriors from the plains who were behind him. A few minutes later, the two of them arrived outside a side palace hall. When the door was opened, they could smell the sweet scent of cosmetics, and they saw several tens of beautiful young ladies sat on the lawn in order. These young ladies were all great beauties, each with the capability of charming countless males. Moreover, they each wore different clothes. Some of them revealed their legs, while others revealed their collarbones. There were even some who wore clothes that brought out the contours of their well-rounded chest. Almost every young lady was wildly showing off their most s.e.xy and most attractive side. When had the plains' envoys seen such a sight before? They stared at the young ladies and could not even help but gulp. Just then, Ferdinand let out a cold snort. He lowered his head and said, "Take charge of your own eyes. Don't be just look around as you wish." The few of them regained their senses immediately, lowered their heads, and did not dare to stare too much. However, they could not help but peep from the corner of their eyes at the fair and tender skin, as well as the many pairs of glimmering eyes. Hu Diaonan glanced around the surroundings carefully with his gaze moving about very quickly. He forcibly moved his gaze away from the beautiful young ladies, took a glance at the entire place, and finally understood this situation. All of the beautiful young ladies were scattered around and seated in circles. At the center, a black figure sat cross-legged, and the several tens of beautiful young ladies were almost all looking at that black figure with infatuation. Their expressions seemed to be that of both grief and joy, appearing rather complicated. They were looking at the center with so much infatuation that they did not even seem to notice Ferdinand and the others had arrived. At the thought of this, Hu Diaonan's gaze lit up. It was not worrying for Fang Xingjian to not like women. Rather, it was worrying if he did not like anything at all. Hu Diaonan knew that the Heavenly Lion King's younger sister, Da Yue`er—the aunt of the current kjhan—was in her prime age of 20 years old, and she was also the number one beauty across the plains. She was said to be the bright pearl of the plains. 'If we can get Da Yue`er to be married to Fang Xingjian, then the Steel Lion Kingdom's status will be unshakeable. While Hu Diaonan was thinking about all sorts of things, the group walked up to the center of all the young ladies. The few of them lowered their heads and could only see the long black robes that draped on the ground. Ferdinand said, "Imperial Preceptor, these people are the envoys from the plains. This person is their leader, Hu Diaonan." At the next moment, a dreamy voice rang out into everyone's ears, giving them a feeling of extreme yearning. "Lift up your heads and let me take a look." Hu Diaonan lifted his head, feeling as if his brain had suddenly exploded. Hu Diaonan was almost unable to describe what the man before him looked like. His eyes, his face, his chest, his body... Every single part of Fang Xingjian's body seemed like the most extravagant gemstone in the world. He was emitting a soul-stirring glow. On his pale face, there was a pair of eyes that were like black pearls. The loose-fitting robes were casually draped over Fang Xingjian, revealing his chest. Hu Diaonan's gaze seemed to be staring at every inch of Fang Xingjian's body, just like a fierce and greedy dog staring at a slab of fatty meat. Each breath and glance from Fang Xingjian tugged at Hu Diaonan's heart. It was as if each slight movement Fang Xingjian made could control Hu Diaonan's emotions. The several tens of young ladies around them revealed infatuated expressions. They looked at the figure at the center with greed, seemingly reluctant to give up on any single moment of being able to look at him. The warriors from the plains who were standing behind Hu Diaonan—men who were used to the bloodshed on the battlefields and claimed that they dared to a.s.sault Fang Xingjian--—were all now on their knees. They were lying in prostrate at Fang Xingjian's feet like docile dogs who were trying to get into their owners' good books. Hu Diaonan put in a great amount of effort to control his physical body and guard his mind, trying to not do anything impolite. However, this was already his limits. Ferdinand lowered his head, not daring to raise his head to look at Fang Xingjian at all. Ever since his illusory arts reached greater heights and he continued working on the Heart Sword Path while creating his Divine Country, Fang Xingjian almost always had his Heart Sword materialized around him. Practically all the experts below the Divine level would be unable to control their emotions. Their feelings of happiness, anger, sorrow, or joy would all be in Fang Xingjian's control. Ferdinand had seen similar scenes where people groveled at Fang Xingjian's feet or looked at him with great feelings of admiration, terror, or hatred many times during the past few days. However, he was a little surprised to see that Hu Diaonan was actually able to control his body. Just then, Fang Xingjian's ethereal voice once again rang out in everyone's heart. "Hu Diaonan? For what matter have you come to the Empire this time around as the representative of the Steel Lion Kingdom?" Hu Diaonan spoke while having some difficulty in breathing, "Imperial Preceptor, the situation in the plains is very dangerous right now. All the tribes are revolting, and the Kingdom's orders can't even leave the capital. The people are living in great misery and suffering, and His Majesty hopes that the Empire can send people to provide a.s.sistance, wiping out the traitors and returning peace to the plains." Fang Xingjian said calmly, "Then let the current khan come to the Imperial Capital. If he is willing to recognize me as his father, then I'll send Prince Philip to the north and have him suppress the riots." Hu Diaonan already felt that it was extremely difficult to maintain his self-control earlier. However, upon hearing Fang Xingjian's words, his mind filled up with fury. The act of getting their khan to recognize Fang Xingjian as his father was a great humiliation. It was equivalent to harshly stepping on the faces of everyone in the plains. However, due to the situation they were facing currently, Hu Diaonan was unable to retort. "Hmmm?" Just as Hu Diaonan was hesitating, Fang Xingjian murmured. It was as if a heavenly thunder had rung out in Hu Dianoan's mind, and great feelings of terror and horror rose in his heart. It was as if the world was about to be annihilated and had reached its end. That bone-penetrating terror caused him to perspire profusely, and his four limbs seemed to be turning weak. This hint of horror was deeply rooted in Hu Diaonan's heart, making him unable to say 'no' when facing Fang Xingjian. "I... I understand. I'll relate the Imperial Preceptor's intentions to His Majesty." Seeing Hu Diaonan departing gloomily, Ferdinand said, "To think this day would come for these barbarians from the plains... But it's true that the plains are currently in a state of chaos. If order does not return there, then it would be very disadvantageous for the Empire to seize the plains' resources." Ferdinand was definitely in full agreement for Fang Xingjian to get the Steel Lion Kingdom to become his spokesperson in the plains and make the current ruler into his puppet. At the thought of the countless ferocious beasts, minerals, and big batches of slaves from the vast plains, Ferdinand could not hold back his excitement. Fang Xingjian did not say anything and just asked, "What other matters are there?" Ferdinand handed him a letter and said, "After some traitors had their sects wiped out, they managed to get away from the pursuit and have joined forces to set up an organization called the Country Restoration Order. Tyrant feels that there is someone pushing this from the back." "Just kill them. What need is there for so much talking?" Ferdinand nodded and then said, "Recently, there has been a sudden rumor that the treasure left behind by the Divine Sun Emperor will be appearing in this world soon. This treasure is split up into seven parts and are hidden in seven corners of this land. "It's said that many Knights and Conferred Knights have set off in search of these seven treasure locations..."The raws stand for 'Big Moon'Here, it is referring to the Referring to the Steel Lion Kingdom's ruler. Destined Wife: The Apple Of My Eye Chapter 5 Transfer The Kidnapped Person? You're Read Destined Wife: The Apple Of My Eye Chapter 6 Now We Know The Baby’S Father online at NovelOnlineFull.com. You can use the follow function to bookmark your favorite novel ( Only for registered users ). If you find any errors ( can't read,broken links, can't load photos, etc.. ), Please let us know so we can fix it as soon as possible. And when you start a conversation or debate about a certain topic with other people, please do not offend them just because you don't like their opinions. You're reading Destined Wife: The Apple Of My Eye. This manga has been translated by Updating. 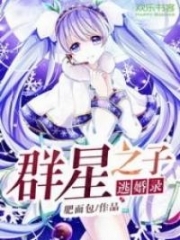 Author(s): Yao Yao Zhi Xin, 妖妖之心. Already has 86 views. Current Time is 23-Apr-2019 14:24:29 PM.